Simplesurance started as a cross-selling software provider for online shops. The plugin they created enabled e-commerce merchants to offer insurance at the checkout for TV’s, smartphones, fridges, bikes, musical instruments, or eyeglasses. 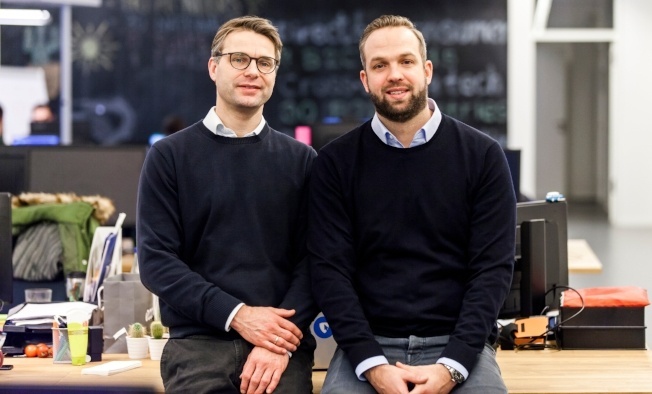 Now, the Berlin-based insurtech is also active in digital bancassurance. 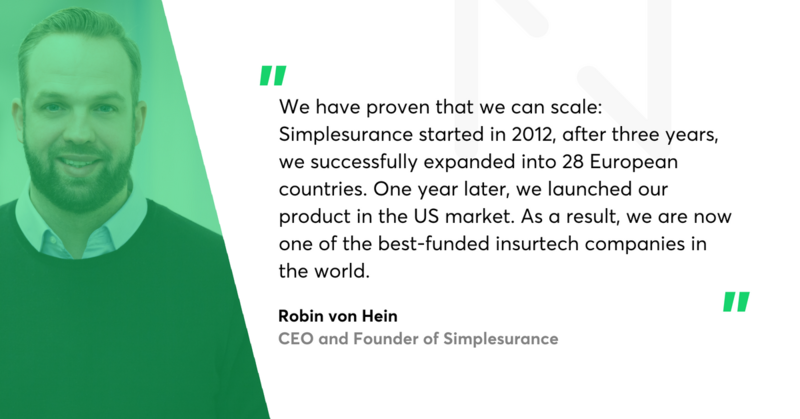 Read the interview with Robin von Hein, Simplesurance’s founder and CEO to learn what markets they are about to conquer, how he envisions his company in the next few years. You will also learn what von Hein underestimated at the very beginning. Simplesurance's founding duo. From the left: Joachim von Bonin, CFO and Robin von Hein, CEO. 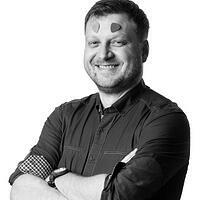 Tomasz Grynkiewicz, Netguru: How did you come up with the idea for Simplesurance? Robin von Hein, Simplesurance’s co-founder and CEO: It all started in 2011, when I was travelling in South Africa. I was intrigued by the way locals bought insurance. They would do it via SMS, and it all looked ridiculously easy comparing to the paperwork process we were used to in Germany. Together with my business partner Joachim von Bonin we bet on that trend, and the following year, we founded Simplesurance. As of today, Simplesurance has over 2,500 partners. But I guess your first steps weren’t the easiest. In the beginning, it was all a matter of our efforts of persuasion. Both insurance companies and e-commerce companies were sceptical. Insurers especially doubted the opportunities that we offered them, but they soon realized that they were losing customers due to the digital transformation, and they needed new models of digital customer acquisition. Eventually, they believed that the young startup had something to offer. E-commerce, in particular, appreciated the benefits of cross-selling insurance at the point of sale. In times when more and more online stores emerge, it’s crucial to have a sales experience that makes you stand out from the crowd. With our technology, our partners can boost their profits by offering customers a convenient post-sales service, and thus increasing the level of customer satisfaction. How did customers react to Simplesurance? To be honest, that was another hurdle for us. Simplesurance was founded before the big wave of insurtech ensued. Hence, most customers were sceptical about entering into an insurance contract online, while doing online shopping. They were used to individual consultancy and a lot of paperwork. How did you manage to get them to try a new and unconventional way to buy insurance? We focused on our product and customer experience. We dispelled their doubts with our service. Our first products were convenient and easy-to-use but also self-explanatory. We put a lot of effort into providing clear descriptions and Terms and Conditions transparently on each of our partners’ websites as well as our own. Schutzklick - one of the local brands in Simplesurance's Group. It seems that you've changed the foundations the insurance industry has been standing on for years? In fact, we did. Instead of going through lengthy and incomprehensible documents, customers can now purchase insurance with just one click. Customers love comprehensive, automated, and fast processes. In the digital era, they expect solutions that work in real-time, which our technology can offer them. Our algorithm-based cross-selling solutions analyse the data in the shopping basket and offer insurance tailored to the products being purchased. Also in our broker service, we make insurance offerings in no time, by asking customers a few questions and automatically calculating the right offer. What is the feedback you get from your users? Customers enjoy all-around support, claim support available 24/7, fully automated and cost neutral claim management, and fast repair management. They appreciate our insurances and warranty extensions, as well as the outstanding customer experience with the purchase process and claim handling. What is the feedback you get from merchants? Our e-commerce partners value our technical support and the additional revenue stream, and add-on service they can offer their customers. We make sure that our partners perform efficiently. Through A/B-testing and other conversion rate optimisation measures, we strive to boost our partners’ profit and margin continuously. Back in May this year, you have secured a $24m funding round. 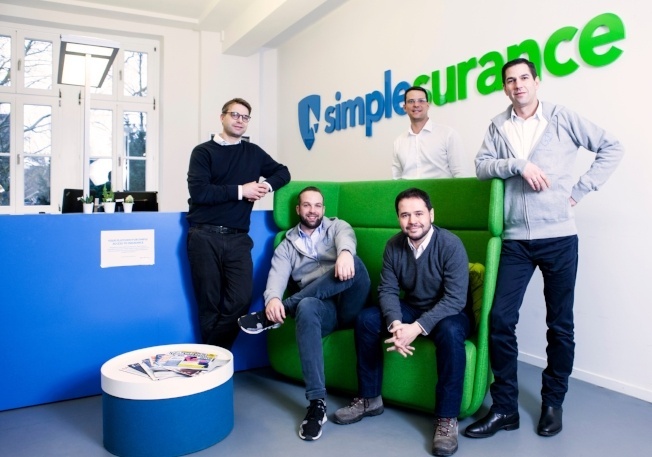 In total, Simplesurance has attracted around $50m from investors. What helped you convince investors to your vision? I think the keys to a successful funding round are as usual: the company’s overall growth, an attractive market, achieving targets, and mutual trust. We have proven that we can scale: Simplesurance started in 2012, after three years, we successfully expanded into 28 European countries. One year later, we launched our product in the US market. As a result, we are now one of the best-funded insurtech companies in the world. What made Simplesurance stand out from the fintech crowd? A number of things. Firstly, we had, and still have, the courage to innovate. As the first cross-selling insurance provider, we enjoy the early mover advantage, and thus we know the market better. Secondly, our pioneering technology has been perfected over time and is now multi-operational, which means that it works with different platforms. Thirdly, we were able to find a global insurance partner with a vast market and brand awareness, and we used this as a facilitator for growth. Lastly, we cover a large part of the value chain, which means that our partners provide us with a distribution channel, but we take care of all after-sales process such as customer support, claim management, and repair management. I see Simplesurance’s speciality in developing new segments for insurance products. We offer product insurance for a large variety of products, ranging from mobile and stationary electronics to furniture and household items, strollers, sports equipment, glasses, music instruments, and watches. We even offer cyber protection for online activities. What do you mean by cyber protection? That is the product that we are incredibly proud of. It covers various areas. For instance, it covers no-delivery, delivery of defective goods, lost or damaged shipments, or refused reimbursement during online shopping. But that insurance also supports our customers in case of financial loss associated with banking and misuse of credit cards on the internet. Then, there is a data loss protection, which covers the recovery of data on a physical storage device caused by technical defects, software errors, viruses, malware, or operating errors. It seems like the only thing missing is cyberbullying. Well, it’s not. Our product also gives a mobbing and cyberbullying protection, which offers coverage for the deletion and blocking of data that would damage your e-reputation or be used for bullying. The possible harmful cases include defamation on a blog, forum, social network or website, and online harm. Also, there is coverage for legal advice related to cyber risks. Impressive! With funding, innovative spirit and a vast range of products, how do you perceive your competition? We are competing in the insurance cosmos, which includes traditional insurance companies and brokers. However, we don’t believe as much in direct competition as in a partnership. We have partners in fintech, insurance, e-commerce, and banking, and we offer coverage from more than 160 insurance companies. By doing this, we create benefits for every party involved and create a full win-win-situation. As far as our cross-selling business is concerned, no player offers the same multi-operational technology. Let’s talk now about the future. What are your top three goals for the next three years? Firstly, global expansion. Secondly, after e-commerce, bancassurance, and enterprise business, we want to enter new segments and expand our insurance product portfolio. The third goal is to internationalise our digital broker business. Speaking of expansion, what markets seem most promising at the moment? The Asian market is interesting, because of the age and size of the population and affinity to digital insurance solutions. Moreover, the Asia-Pacific region is becoming increasingly important due to its fast economic growth, especially in the insurance and financial sector. If you succeed, what will Simplesurance look like in 2020? In 2020, we will be the worldwide market leader for cross-selling insurance solutions as well as the leader in digital bancassurance. We will also provide an insurance platform for simple access to insurance and connect people and business along with all verticals. In short, we want to be the first port of call for customers seeking insurance and provide an easy-to-use and lifelong insurance service. Management of Simplesurance. Joachim von Bonin (CFO), Robin von Hein (CEO), Victor Ruiz (CTO), Dominik Bark (CIO), Manuel Kester (COO). What do you perceive as significant obstacles that could impact your vision? The primary external challenges to us are regulatory compliance, as the insurance and banking industries are the most regulated industries. Especially the fintech and insurtech have to reconcile regulatory compliance for insurance and financial products and the data protection regulations. At Simplesurance, however, we have found a perfect solution to that. We’re working with FOS (Freedom of Service), which allows us to offer the same products and services across Europe and always observe the specific local regulations, compliance etc. What about the future growth? Simplesurance now employs over 150 people, is it enough for your ambitions? Obviously, we want to grow. A good team is the key to a successful company. Only with the right mix of people with complementary skills, knowledge, and talents can we achieve our goals as a company, and remain competitive, innovative, and agile. We strive to invest in our people and culture. I’m proud to say that in 2018, we are considered the 9th greatest employer in Berlin. I would have invested in the team earlier. What would you have done faster? I underestimated the importance of company culture. After six years, we have built a fantastic company culture with a dynamic and motivated team, who share the same vision and work toward the same goal. But I should have started that faster! What would you have refrained from? I’m very proud of the success of Simplesurance and its brands, but now I know that I would have refrained from building local brands and I’d have started with one local brand. If you were to name any company that inspires you and Simplesurance. Who would it be? There are many other players out there. I would tip my hat to our cooperation partners such as Revolut, Rakuten, real, and OnePlus. What they all have in common are a drive for innovation and sophisticated technology. Zhong An and Lemonade are also great examples of customer-focused and technology-driven business models. We all have the revolutionary spirit in common: we want to connect tradition with the new economy. Lemonade is one of the examples of customer-focused and technology-driven business model.